Tekum Valentine a.k.a V-Shai was born in Cameroon on January 16. 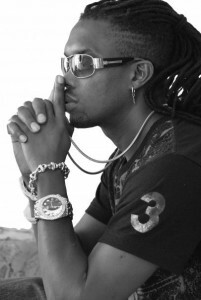 V-Shai is an Afro Hip Hop artist, businessman and one of the best Swiss professional club DJ’s in the arena of hip hop, soul, Rnb, classics, ragga, raggaeton, and Afro beats. He is presently the CEO of Bling Bling Hip Hop clothing shops across Swiss. He was the front man of the most successful hip hop group known as “friends united refugees” based in Swiss. After a successful career as professional DJ world wide playing in cities like New York along side with DJ Knockles and Fatman Scoop and in Rio de Janeiro, Brazil in club bunker in Copacabana and in all top clubs in Swiss like Indochine, Beach Club, Kaufleuten, the Great Cubanito, zoo club, le Bal club, k5 club, Masscote, and more. He has also traveled worldwide for business to places like Mexico, China, Dubai, USA, Germany, Canada, UK, across Europe and Africa. With his first solo Album due to be out by the end of this year, he has already dropped a single which is currently at the top ofthe charts in Nigeria along side with currnt No1. Artist in Nigeria and winner of Best African Artist 2008, Mobo Awards in Wembley,9ICE.